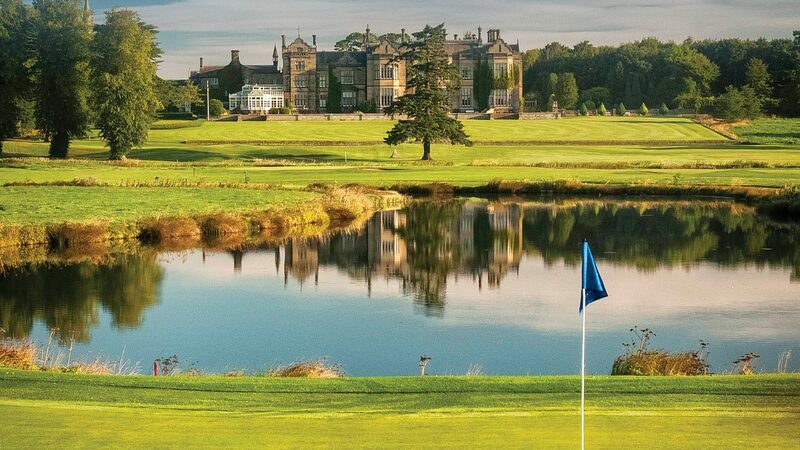 Matfen Hall Golf Club is set in 300 acres of mature Northumberland parkland with established burns and woodland creating one of the finest and picturesque venues in the region. The 27 hole course layout is an enjoyable test for all players of all abilities and incorporates the challenging features from the dry stone ‘Ha-Ha’ walls to the fast flowing River Pont. The 3 loops of 9 holes also affords visitors plenty of availability at key weekend times with the club offering competitive and excellent value packages all year round. Packages are easily tailored to your requirements and a friendly atmosphere means you can relax and enjoy your golfing experience what ever the game throws at you. The facilities also boasts a high quality 9 hole Par 3 course maintained at the same standards as the Championship Course, which is a challenging test for accomplished players as well as ideal for beginners and less experienced players as an introduction to the game. The Keepers Lodge is the ideal 19th Hole which serves homecooked food and locally sourced sourced beverages for you to enjoy whilst over looking the final few holes. If you travelling from further a field the ‘Matfen Hall Experience’ could include a stay in its award winning four star Country House Hotel to take advantage of its popular and reasonable golf breaks. Packages include accommodation, golf, use of the award winning Spa and multiple dinning options. The perfect venue for you consider as your away trip for 2018. 53 bedroom hotel on site. Driving Range, Fully stocked Pro Shop and Practice Facilities.